A really great list packed with lots of information. I especially like #10. Students know they are having difficulty without being put in a group that labels their weakness. I love the structure of your slice today. 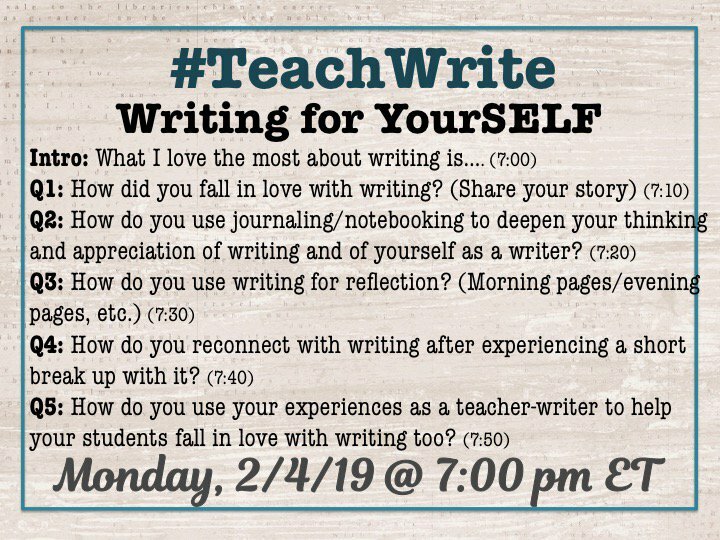 And yes, the teachwrite chat was great last night. Looking forward to exploring the links you included above. A writerly list of ten. Writing an elaborated list allows to capture so much, and later, if you wish, you could write more deeply about. There is so much packed into these 10 questions! Thanks for sharing! Excellent stuff as always. Huge thanks!! !